The mansarda rooms are two, under the roof and there are no other rooms on this floor. 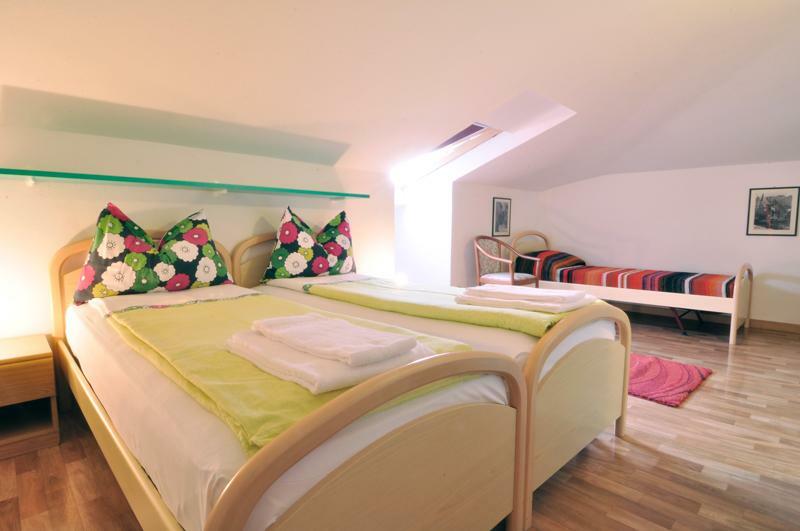 Wide rooms, 2 single beds each one with a small common bathroom. Air-conditioning and TV Sat. Classical furniture. Perfect for families or friends who can share the bathroom. Roof window in each room with a view over the Lake.